A NEW calculator has been launched to show people how much unpaid overtime they are working – and what this represents in lost income. It is intended to show how many of us are essentially working several days for free every year. 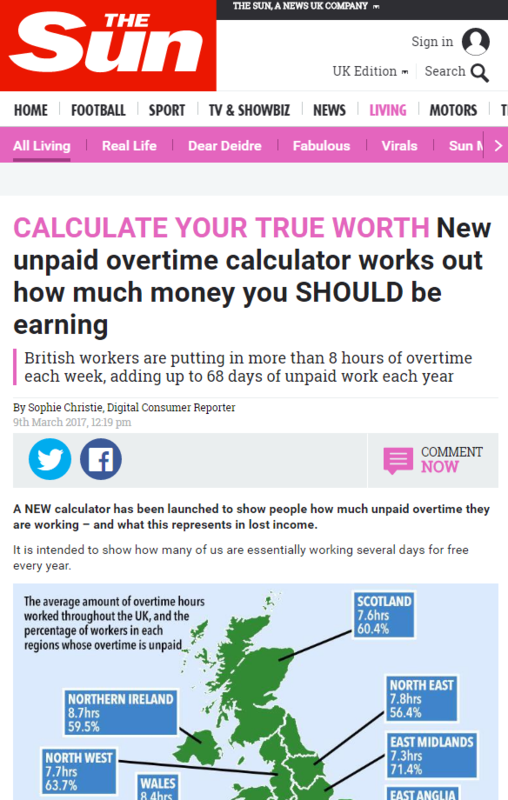 You can check exactly how much unpaid overtime you’re doing with the new calculator by TotallyMoney.com, which also conducted research around overtime in the UK. This entry was posted in Totally Money on March 22, 2017 by Michael Marshall.